If you are choosing a gift for someone special, why not consider buying a fruit basket? 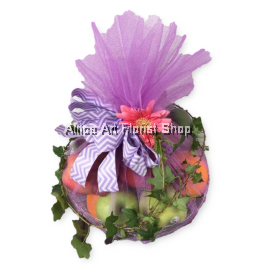 Fruit baskets are healthy and cost-effective, making them the best gifts at any time of the year. 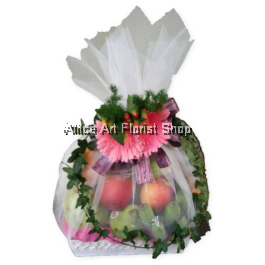 At Aliice Art Florist Shop, we have a wide range of fruit basket to help you express your gratitude, affection or appreciation. 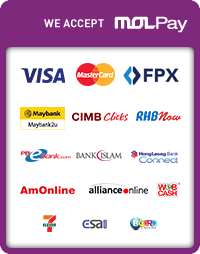 With us, you can easily buy our fruit basket online. 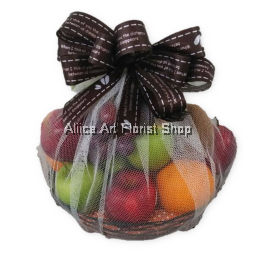 There are a variety of different fruits you can choose online to include in your fruit basket. Regardless of the variety of fruit you pick- whether it is seasonal or non-seasonal, we ensure all the fruits we used in our fruit baskets are of amazing quality and fresh. Besides, the fruits are carefully arranged and meticulously packed in the basket, along with a gift message card. This means that you can include a personal message to show your appreciation to someone. Our fruit baskets not only look presentable but also meaningful. Also, they are pleasing to the eye and palate. 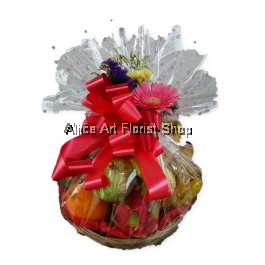 To put your mind at ease, we do provide fruit basket delivery within Klang Valley, Malaysia. With our fruit basket delivery in Klang Valley, Malaysia, your warmest regards will be delivered in a professional and expeditious manner.